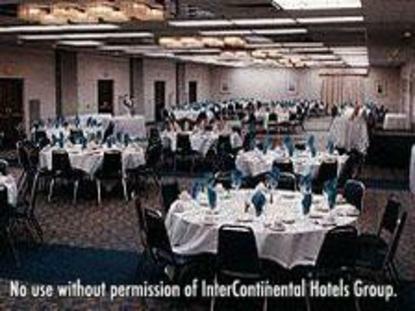 The Holiday Inn Holidome and Conference Center of Springfield-Holyoke is conveniently located on I-91 at exit 15 adjacent to the Holyoke Mall, - the largest in New England-with over 200 stores. Whatever occasion brings you our way, the staff is committed to making your stay a great experience and we guarantee it with our Hospitality PromiseOur Holidome Indoor Recreation Center features an indoor pool, whirlpool, sauna, exercise room, e.space, and shuffleboard, all in a tropical environment.Guest rooms include free wireless Internet connection, voice mail, telephones with data ports, easy access to electrical outlets, irons and ironing boards, coffee makers, hairdryers, cable, pay per view movies, video check-out, and more.Our concierge level is superb when an extra touch of class is desired. It features: *Secured floor access, *upscale decor package including *phones and TV speakers in the bathrooms, *safes, *complimentary breakfast, *late afternoon snacks and beverages, and *a private lounge in which to relax.Enjoy a delicious meal in Friendly's Restaurantor relax in Samuel's Lounge which includes a large screen TV.Meeting rooms are available for your business or personal events. Take advantage of all that Holyoke has to offer. We are just minutes away from Six Flags Amusement Park, Yankee Candle Factory, Basketball Hall of Fame and Forest Park Zoo. This hotel is committed to providing accessible facilities under the American Disabilities Act. If your accessibility needs are not met, please contact the Hotel Manager on Duty. Should you require additional information regarding accessible facilities for guests with disabilities, please call 1-800-Holiday (U.S. and Canada) or contact the hotel directly. For the hearing impaired, TDD service is available at 1-800-238-5544 within the U.S. and Canada.